Gov. Greg Abbott has signed off on a budget provision that will oust Planned Parenthood from a state cancer screening program for low-income women. By approving the two-year state budget, Abbott green-lit a provision that will prevent Planned Parenthood from participating in the joint state-federal Breast and Cervical Cancer Services program, which provides cancer screening for poor, uninsured women in Texas. The governor’s endorsement of the provision, which was expected, came as Planned Parenthood leaders vowed to maintain their presence in Texas despite lawmakers’ efforts to cut their funding. “It’s really incredible how low the governor and some of the state legislators will go when you start throwing women out of cancer screening programs and making it impossible for them to continue to go get services where they have before,” Cecile Richards, president of Planned Parenthood Federation of America, said in an interview with The Texas Tribune on Saturday. In an effort to boot Planned Parenthood from the cancer program, lawmakers wrote a provision into the state budget to prohibit clinics affiliated with abortion providers from receiving funding for breast and cervical cancer screenings. 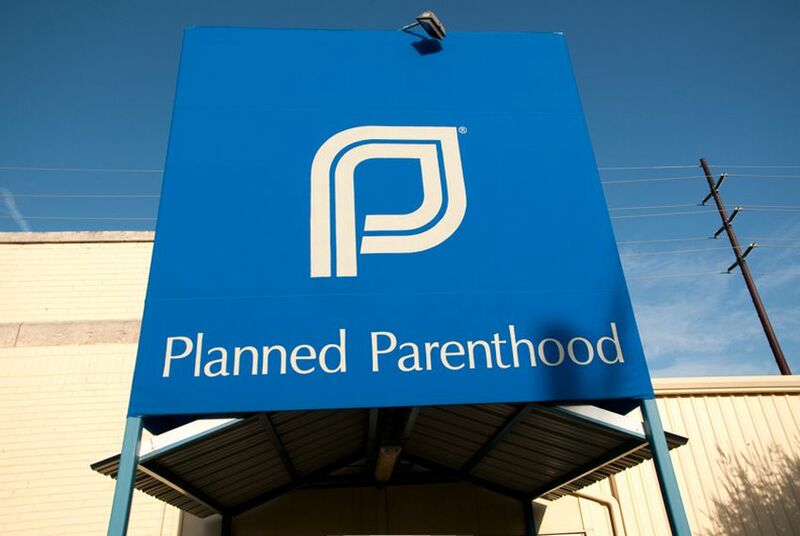 Under state law, the 17 Planned Parenthood clinics participating in the program were already prohibited from performing abortions if they accepted taxpayer dollars. The governor’s office did not immediately respond to a request for comment on the budget provision. Planned Parenthood currently serves about 10 percent of the Texas women in the program. In fiscal year 2014, Planned Parenthood affiliates received about $1.2 million in funding and served 2,938 of the 33,599 women who received services from Breast and Cervical Cancer Services providers across the state. Richards, who was in Texas on Saturday to rally against the cuts, called the ousting of Planned Parenthood from the program the “crassest example” of Texas lawmakers playing politics with women’s access to health care. Along with about 60 protesters, Richards joined Sadie Hernandez, a 20-year-old college student who has protested outside the Governor’s Mansion in Austin for the last two weeks calling on Abbott to veto the budget measure. Also present on Saturday were state Sen. Sylvia Garcia, D-Houston, and former state Sen. Wendy Davis, the Democrat who ran for governor against Abbott last year after gaining national attention for her filibuster of strict abortion regulations. Cutting off the money Planned Parenthood received from the cancer screening program is a major win for Texas conservatives who have likened directing any state funds to Planned Parenthood affiliates to endorsing abortion. The state budget ousting Planned Parenthood from the cancer screening program takes effect Sept. 1. The Breast and Cervical Cancer Services provision in the budget nixes some of the last taxpayer dollars Planned Parenthood received in Texas. The Republican-led Legislature in 2011 slashed the state’s budget for family planning by two-thirds in an effort to keep health providers even loosely affiliated with abortion providers, namely Planned Parenthood, from receiving state tax dollars. Ejecting Planned Parenthood from the joint state-federal Medicaid Women’s Health Program cost the state a $9-to-$1 match from the federal government. That forced state health officials to relaunch the program as the state-financed Texas Women’s Health Program to keep Planned Parenthood out. But some Planned Parenthood affiliates continued to receive dollars from the Breast and Cervical Cancer Services program, which is primarily funded by federal money. In fiscal year 2014, funding for the program included $7.8 million from the federal government and $2.4 million from the state. Richards said that despite the Legislature’s efforts to force Planned Parenthood out of Texas, her organization is working to expand its footprint in the state.